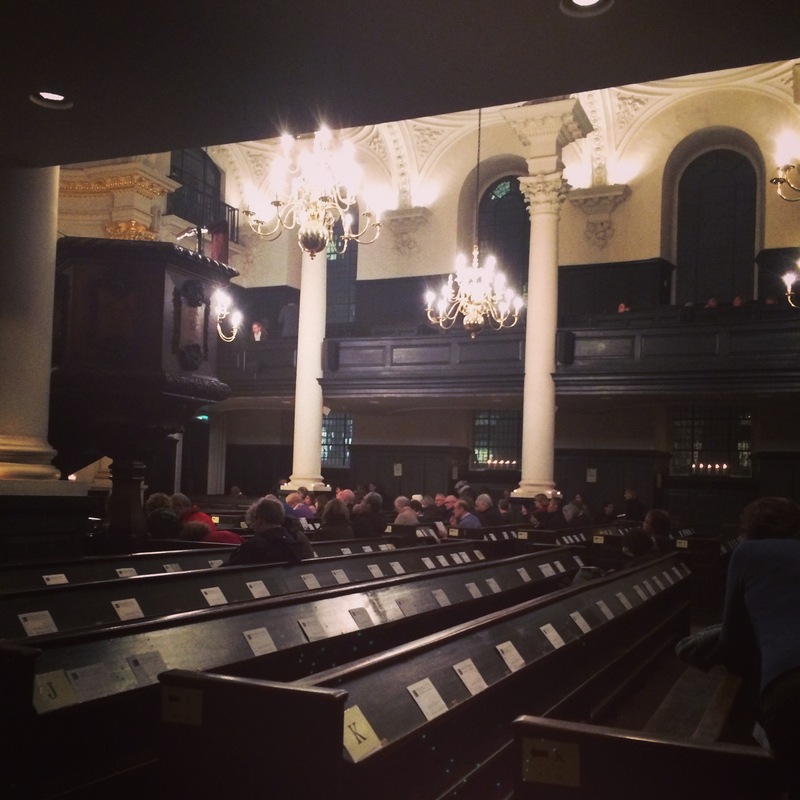 Thanks to Time Out, we had tickets to see the London Concertante playing some Baroque Masterpieces by candlelight. Very cultured. 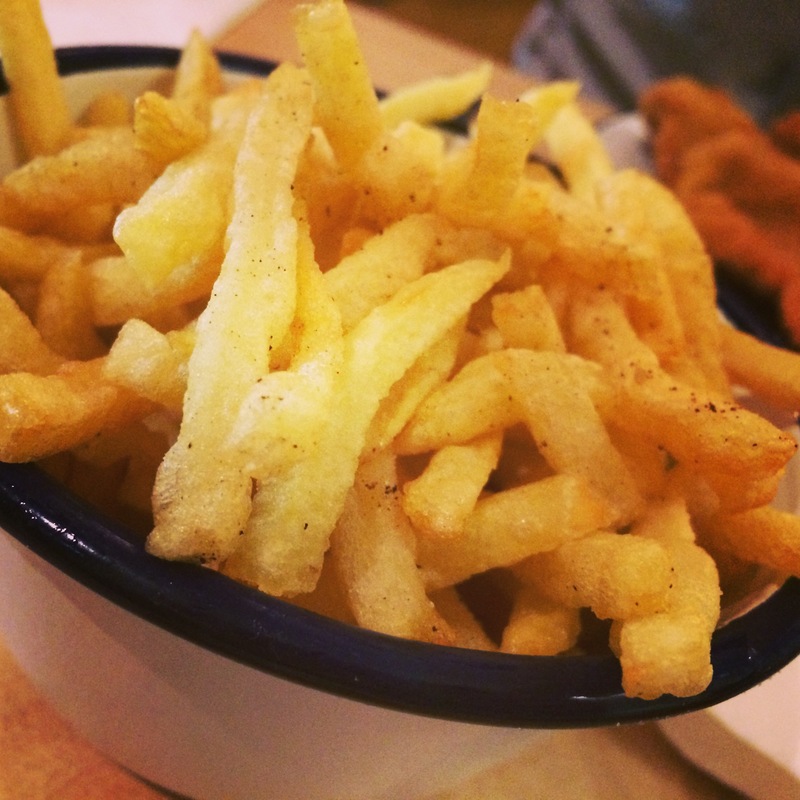 But first, dinner. 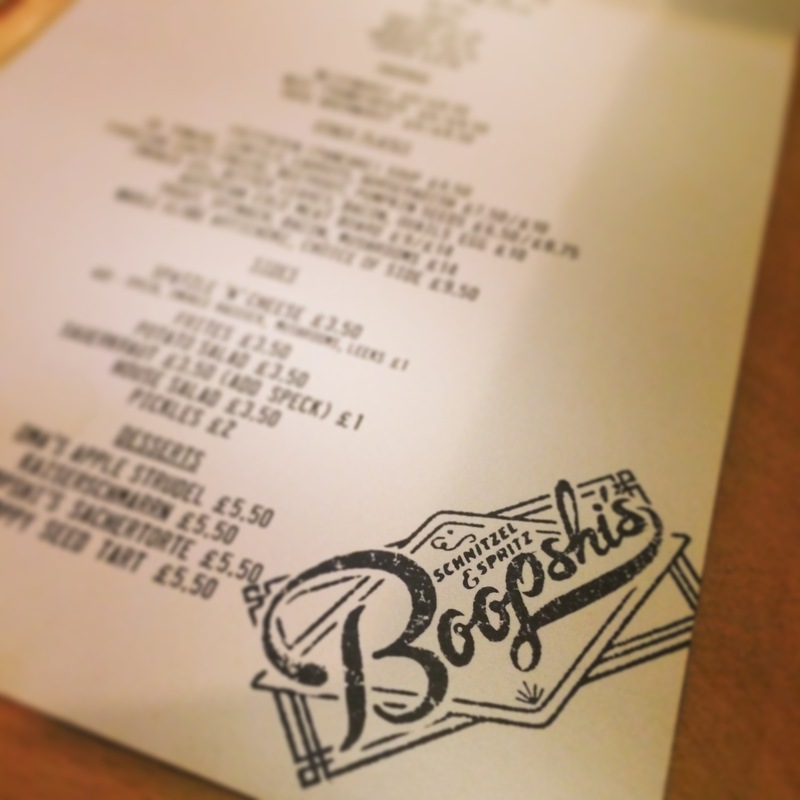 We chose Boopshi’s for 2 reasons; it’s fairly new and it was almost exactly half way between my office and St Martin in the Fields, where the concert was taking place. 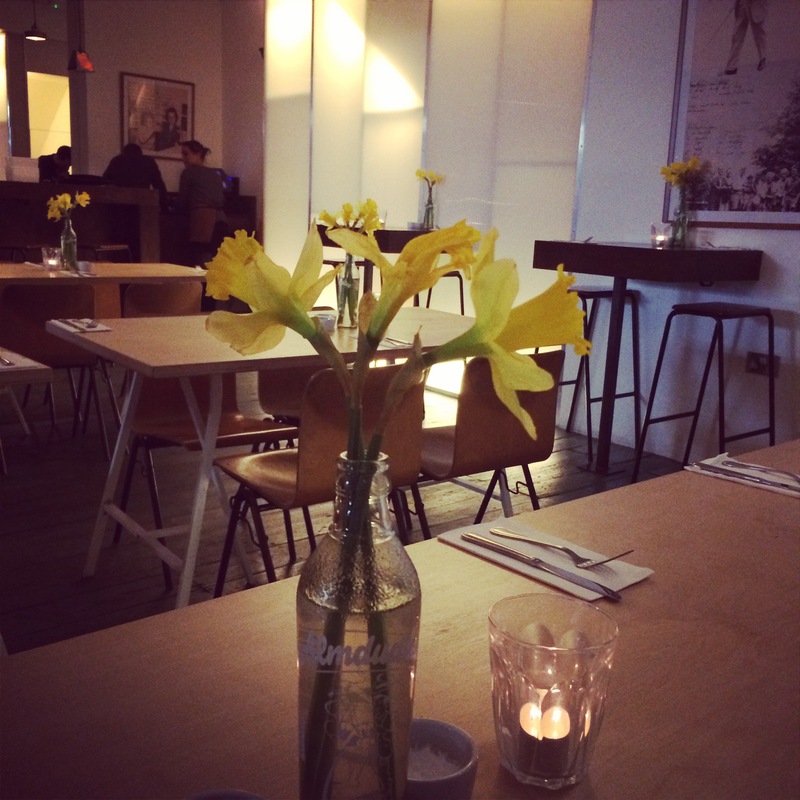 Since it was quite early, the place was fairly empty, meaning we had plenty of choice for a table. It’s a great place for people-watching, and we watched people scurrying about in the rain outside as we perused the menu. 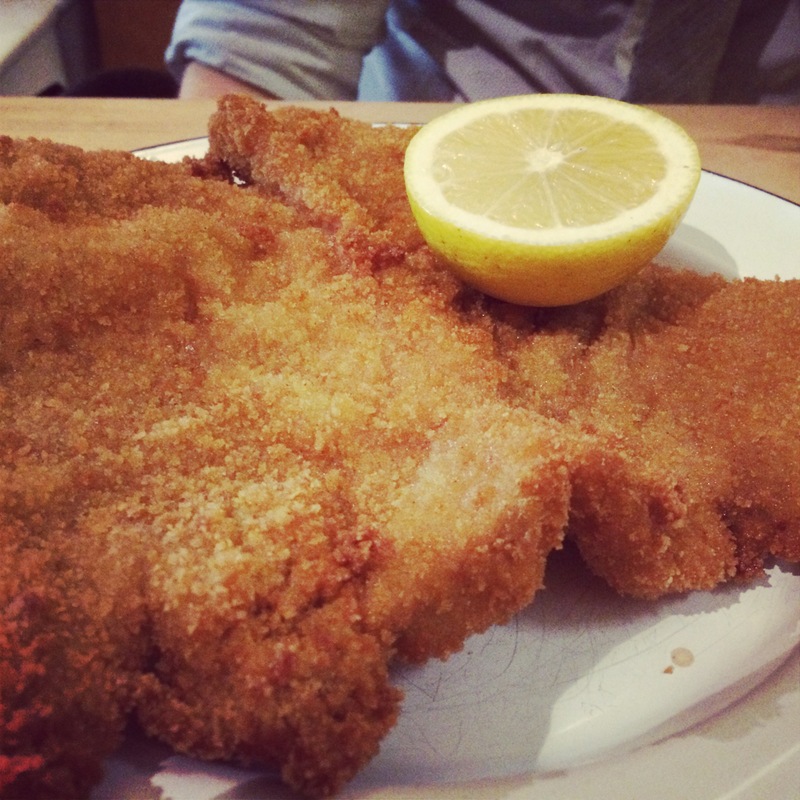 It’s short and sweet, and since they’re famous for their schnitzel, that’s what we went for. Alex had the rose veal (which, as you can see, easily covered the entire plate). And I had the rare breed pork, which was succulent and delicious. I added anchovies and a duck egg as toppings, because, why not? I struggled to finish it though, the portion was huge. 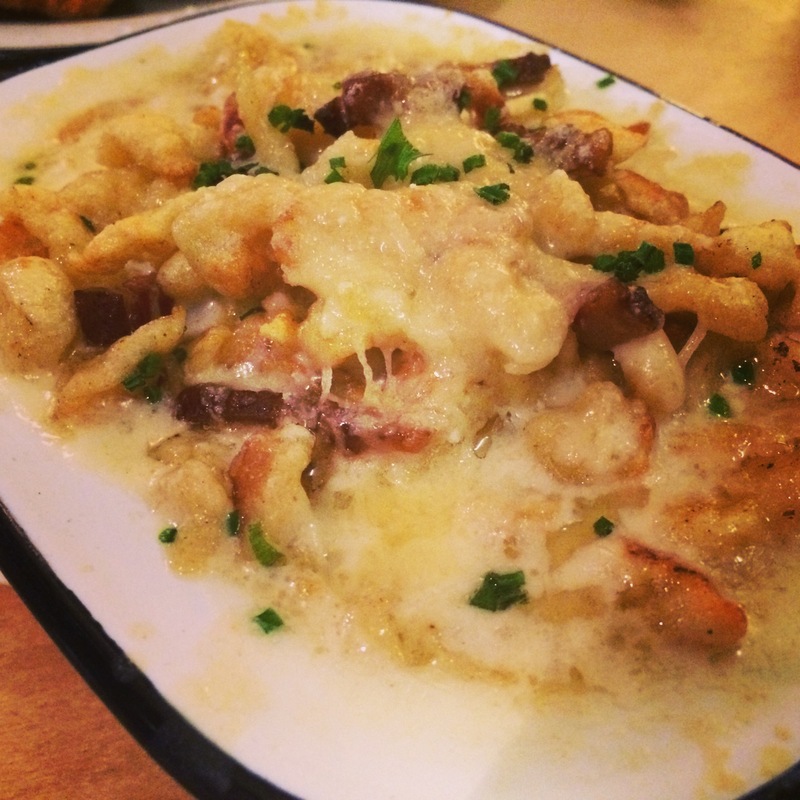 As if the schnitzel’s weren’t enough, we added fries and spatzle ‘n’ cheese (a mix between mac ‘n’ cheese and gnocchi) as extras. As you can probably tell from the photo, the spatzle ‘n’ cheese was delicious. It was only a small portion, but it was so rich and filling we struggled to finish it. 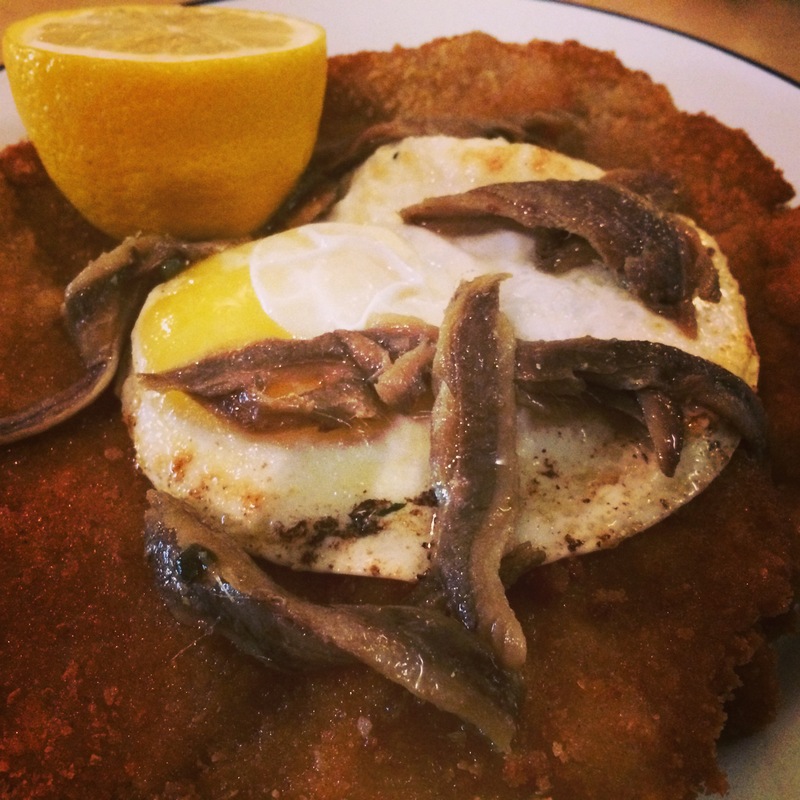 Overall, the food was delicious and the service was great, but a there are a lot of added extras that you end up paying for (toppings for the schnitzel, sides, toppings for the sides) and the bill can stack up quickly. Alex’s parting comment was, “we could have gone to The Diner for the same price”. Full of schnitzel, we braved the rain and walked the rest of the way to St Martin in the Fields, where we spent the evening listening to Baroque classics, beautifully played and in a beautiful setting, for £12 each. The very definition of value for money.